Mar 1: Winter field trip to the Taylor Fork drainage to review the basin's cold-weather landscape, snow depth, possible migration corridors, and similar and consider as potential winter habitat for bison. Aug 3: Summer field trip to the Taylor Fork drainage to review the basin's landscape, vegetation, possible migration corridors, and similar and consider as potential summer habitat for bison. Nov 19: Field trip in the Gardner Basin to review conflicts and opportunities in the areas at or near Beattie Gulch, Eagle Creek, and Cutler Meadows. Jul29: Field trip on Flathead Lake to review CSKT programs focused on habitat restoration, as well as lake ecology. Nov 20: Planned field trip into the Gardner Basin held indoors due to inclement weather. Aug 29: Field trip to review lands in the Taylor Fork area being considered as part of a State of Montana EA for expanded bison tolerance north of YNP. The field trip included meeting of landowners and interested public with Partners and staff at the 9 Quarter Circle Ranch. Aug 4: Field trip on CSKT lands near Pablo MT to review CSKT wildlife crossings and bison handling practices at the National Bison Refuge. The trip started with introductory presentations on the campus of Salish Kootenai College. Dec 7: Field trip of the North Side Management Area (Gardner Basin) including stops at Park Line/Reese Creek (with discussion of Hoppe lease on Stermitz property and Little Trail Creek), Stephens Creek Capture Facility, Eagle Creek, Brogan’s – Quarantine Facility, and Cutler Meadow. 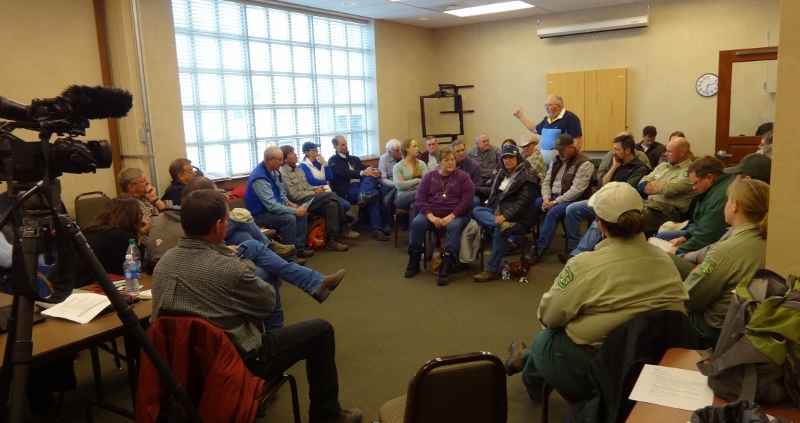 The field trip concluded with summary and public comment at the Royal Teton Ranch, including a short opportunities for a local high school class to question the IBMP Partners. Aug 10: Field trip of the West Side Management Area (Hebgen Basin) including stops at Denny Creek Rd, Lonesomehurst Campground, Southern Madison Arm road, junction of Highways 191 and 287, Fir Ridge Cemetery, and Highway 287 near Red Canyon.